As this year draws to a close and we prepare to ring in the New Year, it seems fitting to recall some of my professional highlights of 2018. 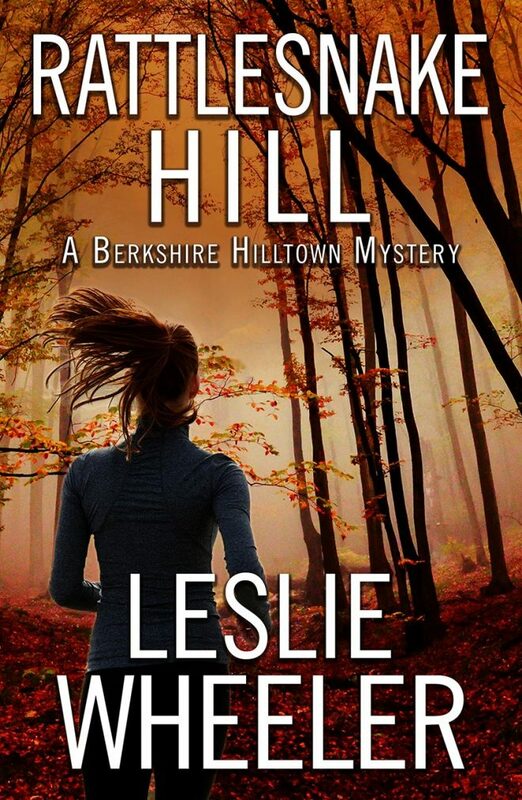 A big one was the February release of Rattlesnake Hill, the first book in my new series of Berkshire Hilltown Mysteries, which garnered a starred review in Library Journal. I celebrated with a well-attended launch party at Porter Square Books in Cambridge, and did a lot of guest blogging. Blog topics included: timber rattlesnakes in New England (yes, they’re here, though not in the numbers they once were); the white stag (a legendary creature that plays an important role in the book, and actually does exist in nature); and the time the main character from my Living History Mystery series put her foot down and refused to do what I wanted her to, which made me realize she didn’t belong in Rattlesnake Hill, and led to the creation of an entirely new character as the heroine. The spring brought the publication of the Malice Domestic 13 anthology, Mystery Most Geographical with my story, “Death in a Strange and Beautiful Place,” in which grief and the need to see where her husband died bring a widow to Iceland, where she makes a heart-stopping discovery. The publication led me to attend Malice Domestic for the first time in a number of years. I took part in a mammoth book signing for the anthology, and also served on a panel. The summer found me giving talks at various bookstores and libraries in the Berkshires, These included: The Bookstore and Get Lit Wine Bar in Lenox, where I spoke before a Standing Room Only crowd. (Owner Matt Tannenbaum has a loyal and well-deserved following! ), and the New Marlborough Public Library, which is the library for the town where I have a house. The latter was especially fun, as it involved both a talk at the library and a hike to the ruins of the Carroll Mill in Mill River, which is the setting for two important scenes in the novel, including the climax. After a fascinating four-weeks of travel in Scandinavia from mid-August to mid-September, I returned to do more book events, but also to hunker down and work on the sequel to Rattlesnake Hill, titled Shuntoll Road. I’m happy to say that I finished the first draft on Saturday, December 15 at 2 PM. While I still have a lot of revising ahead of me, I hope to have the final draft completed in the 2019, so stay tuned! 2017 got off to a good start for me. In January, I responded to a call for short stories for an anthology celebrating the total solar eclipse that would take place across the continental United States on August 21. How could I resist when the eclipse coincided with my birthday? I confess that until then I knew nothing about it, but fortunately I found a lot of good information online. At first, I thought I would focus on just one character’s story, but then, in a departure for me, I decided to follow the lives of four characters living in different places on the so-called “path of totality”: a single mom who, together with her mom, runs an Airbnb in Madras, Oregon; a middle-aged man taking part in the town’s annual Little Green Men Festival, commemorating the alleged arrival of extraterrestrials in Hopkinsville, Kentucky; a down-in-his-luck musician in Nashville, Kentucky; and a fiercely independent, elderly African American woman in Columbia, South Carolina. The story visits these characters the day before the eclipse when they’re each confronted with a problem, then again on the day of the eclipse when the problem is resolved. “Chasing the Moon” was published in Day of the Dark, Stories of Eclipse, edited by Kaye George, and released on July 21, 2017, a month before the eclipse. In August, another story of mine appeared in print with the release of Noir at the Salad Bar, Culinary Tales with a Bite. The idea for this story, which is called “My Life in Killer Recipes,” came to me after I realized that over the years I’ve used different cookbooks and cooked in different styles, according to the culinary fad of the moment. As a child, I cut my culinary chops on Betty Crocker’s Junior Cook Book, graduated to Julia Child’s Mastering the Art of French Cooking, and so on. The only difference between me and the character in the story, is that she adds lethal ingredients to her dishes, making them literally “killer” recipes. Most exciting of all, I received word this summer that a new small press, Encircle Publishing, wanted to publish Rattlesnake Hill, a novel that’s very close to my heart, and that I’ve been working on for what seems like forever. Having been highly recommended for publication by an editor at Five Star, the publisher of two of my previous novels, the book was awaiting a contract when Five Star ended its mystery line. I’m delighted that my orphaned novel has finally found a home, and am looking forward to its release in February, 2018. It’s November in the Berkshires, a dreary time of dwindling light when the tourists have fled along with the last gasp of fall foliage. So when a stranger shows up in the sleepy hilltown of New Nottingham and starts asking questions, the locals don’t exactly roll out the welcome wagon. Bostonian Kathryn Stinson is on a deeply personal quest to solve a family mystery: the identity of a nameless beauty in an old photograph an ancestor brought with him to California over a century ago. But, as Kathryn quickly discovers, the hills possess a host of dark secrets – both ancient and new – that can only be revealed at the price of danger and even death.